Facebook has finally released its new Like button, and it’s a much bigger change than Twitter’s controversial Favourite button rebrand. 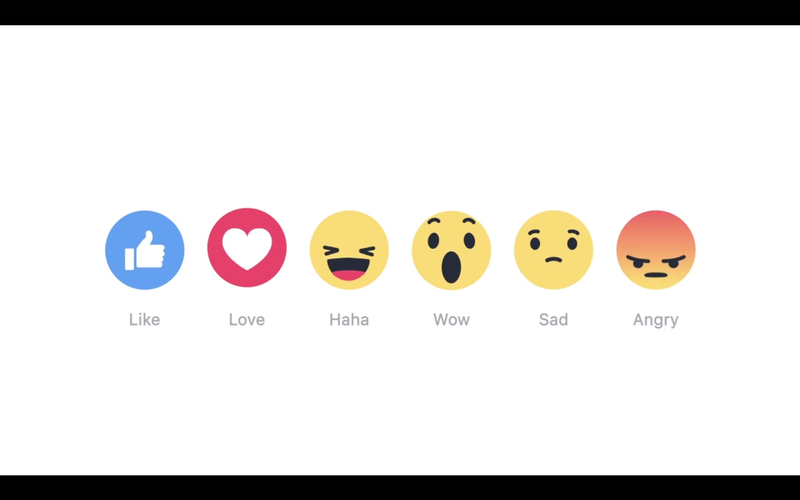 It sure is – instead of liking a post, you can now respond by pressing a BuzzFeed-like “Love”, “Haha”, “Wow”, “Sad”, or “Angry” button. Simply hover over the Like button on desktop or long tap on mobile to bring up the options. I’ve been trying out Reactions and am surprised by how difficult it is to decide which response to pick. Yes, you could just hit “Like” for everything as you always have, but, with the other options available, could liking a well-written sad post now be considered mean when “Sad” is now the more appropriate response? Want more like this? Subscribe via Facebook or Twitter. Like all social media changes, this is very much a first world problem. But it is worth remembering Zuckerberg is a man so wary of decision fatigue he wears the same clothes every day; it is surprising to see his social network going the other way. What do you think of the new Like button? Do you Love it? Or does it make you Angry? Comment below. Or on Facebook. Whatever you Like. Tom Scott and Matt Gray are shredding YouTube Live comments live on YouTube! YouTube Live comments printed and shredded live in front of those who wrote them? It’s wasteful, but oddly beautiful. Bill Cunningham’s influence on fashion, society, and photography was huge, and will continue in those he inspired to take their cameras to the streets. Australian and New Zealand tourists heading for Nauru yesterday found their visas had been cancelled, but that is not the only kind of visitation the island nation has blocked. If you are reading this on an Andriod mobile or tablet, there is a good chance your address and notifications bars are a purple-ish colour. Handing Melbourne’s metropolitan network over to cost-cutting, profit-seeking private companies has led to incredibly poor track and train maintenance. With the UN set to back Assange, will the Australian government finally defend its citizen? THE AUSTRALIAN government’s limp response to WikiLeaks founder Julian Assange’s plight in Europe is the David Hicks case all over again. Malcolm Turnbull and Julie Bishop now have the chance to end the similarities.